Product data feeds have become a core marketing medium for most online e-commerce stores mainly due to the fact that shopping channels such as Google Shopping, Amazon Marketplace, Become, Pricerunner and others becoming increasingly popular. Users love to shop on those platforms as they are allowing them to easily find products they're looking for and compare their prices across the number of shops in one place. Almost all of those shopping engines allow merchants to list their products via specialised files called product data feeds. 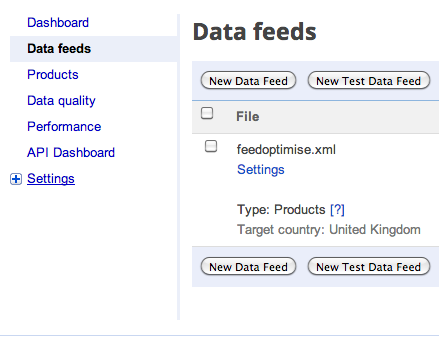 Feeds are mainly provided in 2 following formats: XML and CSV layouting data inside in the number of ways. The quality of the data inside a feed is very important as all search queries across above-mentioned shopping channels are evaluated against it. Its extremely important to keep an eye on the overall data feed quality rather than just a few chosen products as the overall quality can impact rankings of those chosen few products. The correct categorisation is must have as it helps engines to understand what a particular product is and where it should be classified so users can find what they are looking for quickly and efficiently. No one likes to click through to find that the products they wanted to buy are no longer available, especially crawlers checking your data feeds quality. Some products more than others heavily rely on the unique product identifiers i.e. gtins, eans, upcs, isbns and mpns. Search engines need them so they can collapse same products together and save users time to scroll through 1000s of duplications. That factor is indirectly related to the data feed, however, is being gathered during the data feeds campaigns life them, it also can impact your rankings thus making your user happy should always be a priority. There are loads more things which can help to tweak your rankings such as titles length, keywords density, valid characters inside product descriptions, price freshness and many, many more so if you need some help regarding your product feed optimization on Google Shopping or on any other channels please feel free to contact us.